More than a third of Americans struggle with obesity so it’s no wonder that losing weight or getting fit is one of the most popular New Year’s resolutions. However, many people seeking to make a change in their eating and exercise habits often fail before they’ve even started, primarily because they overwhelm themselves by trying to change all of their habits at the same time. Juice cleanses are a good way to get your health back on track, according to Woodson Merrell, M.D. Think small step, short-term change, and you begin to see how committing to a three or five-day cleanse is more manageable than the cold turkey approach. Juice cleanses offer a variety of benefits, both physical and psychological, Merrell says. It breaks the cycle of habitual unhealthy eating and provides an opportunity for intentional eating and increased awareness about how the body responds to hunger and food/fuel. Consuming raw, natural (or organic) juices requires less processing by the body’s digestive system. Whole, raw (unprocessed) juices introduce less toxins into the body and are less taxing on the liver, the body’s primary detoxifying organ. The volume provided by drinking juices is filling so people don’t have to battle hunger. While relatively simple and unstructured, following a juice cleanse for a few days eliminates making decisions about what and how much to eat. 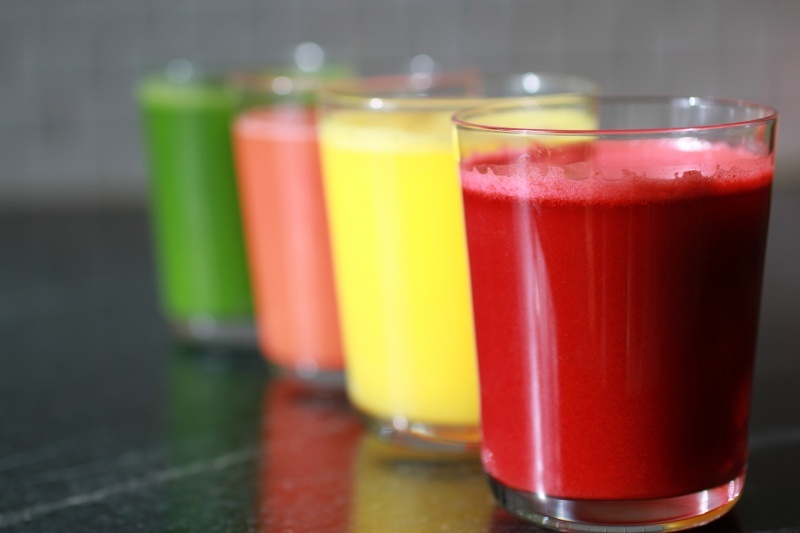 Juice cleanses provide an opportunity to remove potentially harmful and/or unhealthy foods from the diet (alcohol, caffeine, dairy, wheat, sugar and gluten). Avoiding foods that may trigger headaches, bloating, rashes or other unpleasant responses can help identify which foods are the root of problems. Juice cleanses “power up” bodies with vitamins, minerals and other beneficial nutrients, especially in people who don’t routinely eat enough fruits and vegetables. Eliminating junk food helps most people feel better and have more energy, as does the weight loss that usually accompanies juice cleanses. Juice cleanses are considered safe for most people, although individuals with any significant health condition should consult their physician first. The wholesome goodness and simplicity of cleanses are an effective way to break old habits and start on a path toward lifelong wellness. The Jungle Juice Bar CLEANSE WITHIN offers 1, 3 or 5 day juice cleanse packages. The juices are raw and unpasteurized. These primarily vegetable-based juices are designed to help rehydrate with natural electrolytes. CLEANSE WITHIN packages can serve as snacks or meal replacements. 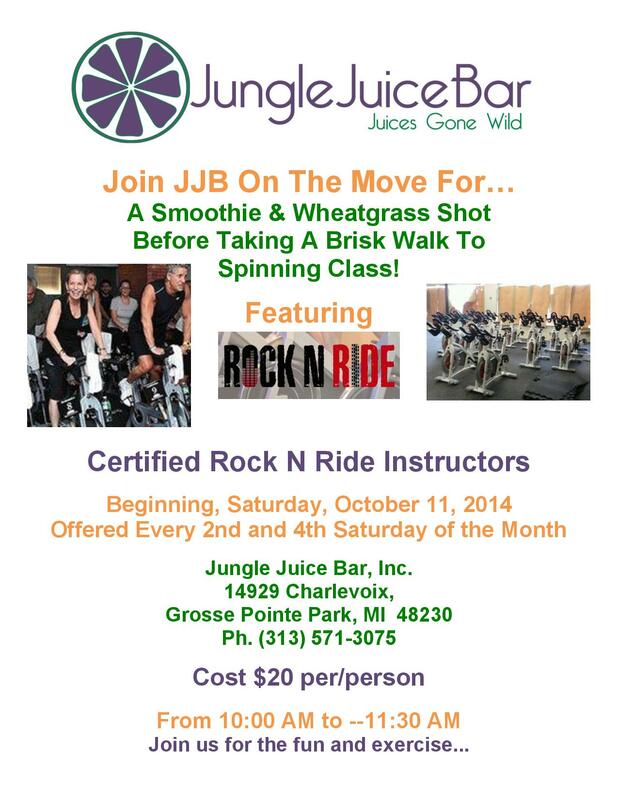 For information on pricing and ordering, contact JJB at 313.571.3075.